I think this site needs a TMNT toys action shots section, where you guys take pics of your characters in action scenes. Other sites do this, & I ike looking at them, so I think this site should do it, too. Do you ever wonder, if Baxter, as the fly, ever had the urge to eat poop? Well, you should get on that then. It appears as though I have, cause someone has already posted an action shot. Turtles guarding my room from my shelf . He's telling you to make your own, hombre. I know, I was being a smartass. But, sadly, my tmnt's are in a box, & I only have one, at the moment. 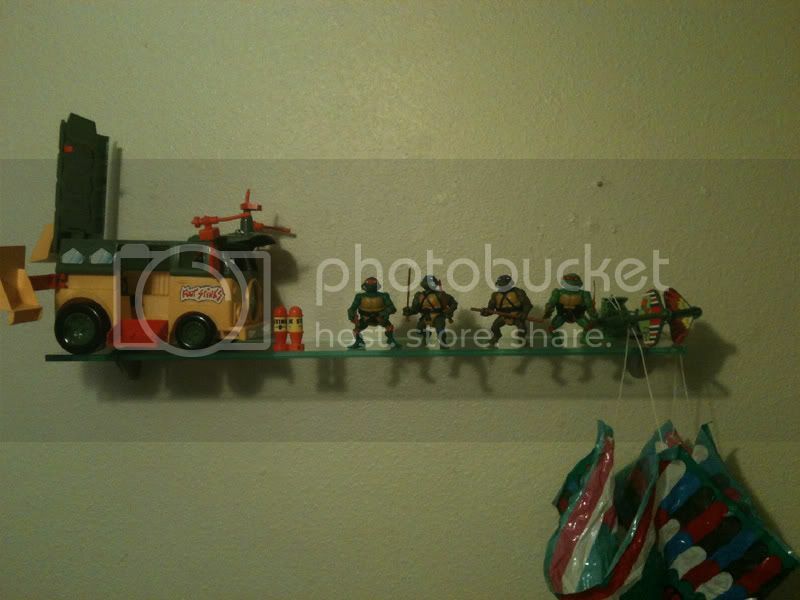 LOL I use that exact same spiderman playset with my TMNT as well. You probably already know, but there is also a nice "breakable" brick wall from a hulk set that looks awesome with the mutant module crashing through if you want to check it out. But here is what I have on display. I reccommend that EVERYONE with a Pizzaface should buy him a sylvanian families pizzashop. Last edited by JaffleMan; 01-11-2012 at 06:48 AM. 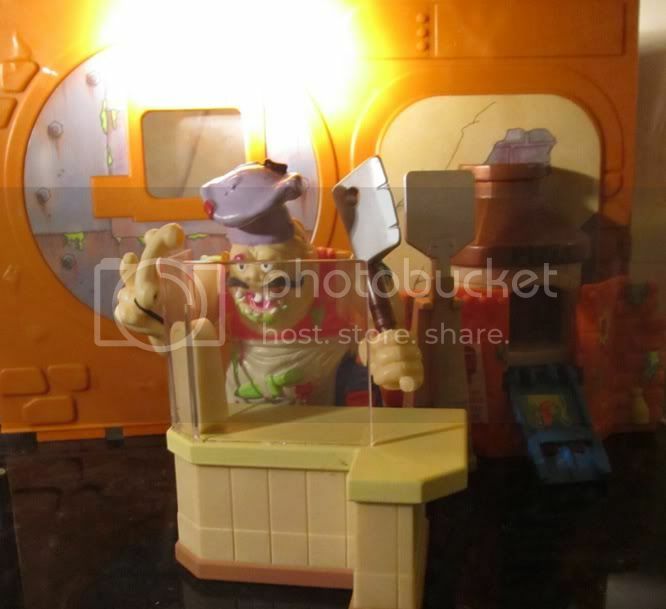 O man, I'd love to get the Swedish Chef's kitchen playset and have Pizza face run it. Lots of close-ups, I put then in a spoiler tag so I won't flood the whole thread. And a full view of the whole set up. Pretty sweet medieval set up. Medieval is ALWAYS welcomed, in my books. lol . I was going for a comical look when i put this together but you are right. It does look dire. Perhaps i need to relocate off of my girlfriend the extra pizza pieces, boxes and the woodfire logs that came with this set so it doesn't look as bland. She collects sylvanian families but I purchased an extra set for myself and used some of the spare parts i didn't want to help build her a custom pizza shop.